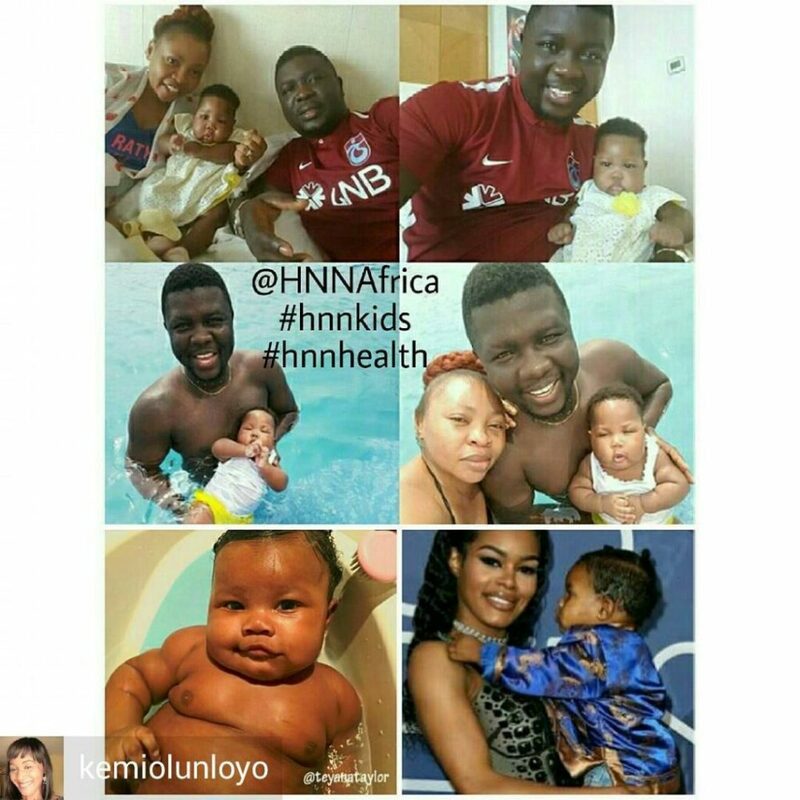 Controversial Journalist, Kemi Olunloyo thinks Seyi Law’s daughter is overweight and her parents need to monitor or perhaps cut down her amount of food intake. 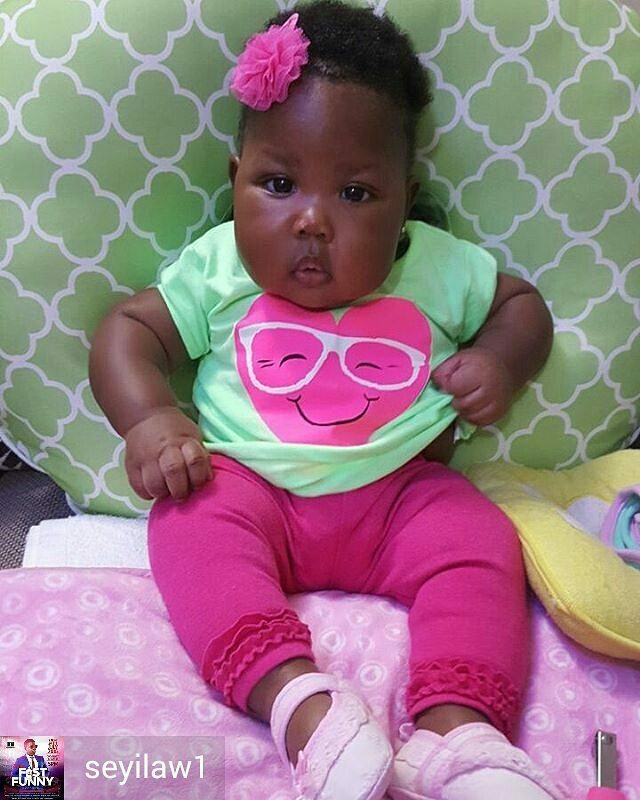 Comedian (@Seyilaw1) Seyi Law’s baby is FAT! Childhood obesity is growing in #Nigeria. 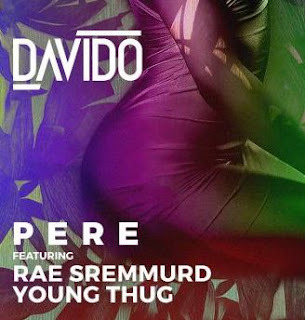 When Teyana Taylor sent this picture to me almost 2 yrs ago, I blogged it ripping Iman’s daughter as too fat for a baby. Teyanna was feeding her all sorts of things. Seriously she admitted to overfeeding her and had to STOP. Below is Iman and Teyanna’s kid last June 2016 now transitioned to a healthy weight. Though Seyi’s daughter takes his puffy face features, clearly she is overweight and her feeding schedule has to be guarded. I’m a US trained Clinical Pharmacist and and a White House award winning health educator. Childhood obesity is a serious medical condition that affects children and adolescents. Children who are obese are above the normal weight for their age and height. Childhood obesity is particularly troubling because the extra pounds often start children on the path to health problems that were once considered adult problems diabetes, high blood pressure and high cholesterol. Many obese children become obese adults, especially if one or both parents are obese. Childhood obesity can also lead to poor self-esteem and depression when classmates and peers begin teasing them. Have a time table of what your child eats and babies, get a grip on their feeding schedule. 0 Response to "“SeyiLaw Your Daughter Is Too Fat And Overweight ” – Kemi Olunloyo Warns"